It’s been a whirlwind here recovering from the wedding. P and I have opened all of our wonderful gifts, which resulted in a myriad of cardboard boxes sitting in the middle of the living room… and the kitchen… and the guest bedroom… and by the curb on garbage day. The biggest challenge has been to find a place for everything. Even though I think our townhome is HUGE, P and I are pack rats (I swear, I find stuff in the guest room closet that I didn’t even know we had). We’ve started the process of purging everything from our single lives (think: college dormitory plates and utensils, mismatched wine glasses, stained and torn clothing, broken kitchen gadgets) and replacing them with items we’ve selected together. And we’ve made a goal to get out four thank-you-notes every day… a goal we sometimes achieve, and sometimes we don’t. So, the last few weekends haven’t been much of a break from the workweek, just a different type of work. And I thought things would calm down after the wedding. HA. Anyway, between all the unpacking, and cleaning, and growing piles of things to donate to the Goodwill and our church rummage sale, I did make an effort to get out and enjoy the world. I met my friend Leah at the Downtown West Palm Beach Green Market so that I could at least get in one visit this year before they close for the summer on April 22nd. We had lots of fun (and lots of coffee). I got an awesome sunburn and a reminder of how little sun I’ve received over the past few months (get out and get that Vitamin D!). Perfect spring green market weather! 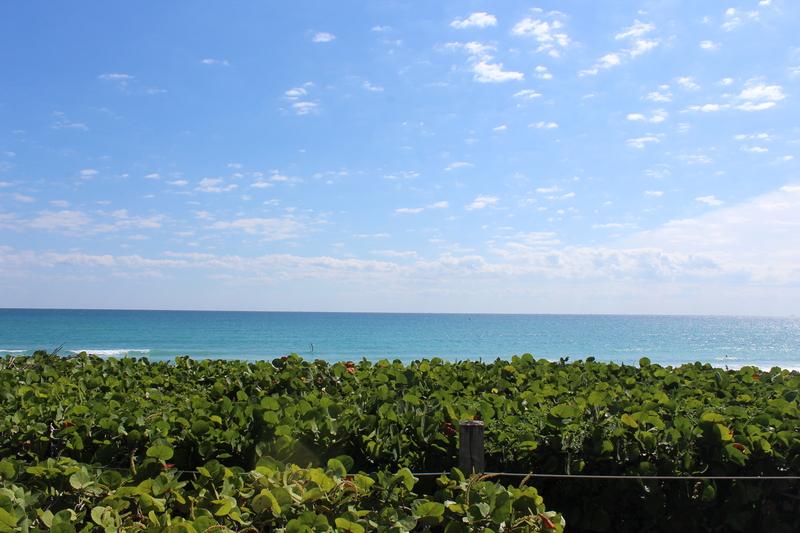 Finally, a Jupiter weekend would not be complete without a trip to the beach. I always told P that after the wedding we were going to try to get to the beach at least once a week. We haven’t quite accomplished that yet, but there have been some nice beach Saturdays mixed in with running around like chickens with our heads cut off. Please tell me the chaos ends eventually, right? Why so serious? It’s the weekend! Who needs April in Paris when you can have April in Jupiter? Oh, you definitely do! It has been so much fun and I’m sure Total Wine loves our business!! You should totally get a copy of the book! We have had tons of fun mixing up our concoctions!